Was Octomom Nadya Suleman channeling Angelina Jolie as Christine Collins in the Changeling? There are apparently some definite similarities between the two performances. WHITTIER – Octomom Nadya Suleman became unhinged with fear last year when she thought she’d lost one of her children, telling an emergency dispatcher, “Oh God, I’m going to kill myself,” according to a recording of her 911 call released Wednesday by police. Suleman made the call Oct. 27 after her 5-year-old son went missing from the front yard, only to find him a few minutes later after he returned from a walk. Suleman, an unemployed single mother, has come under scrutiny since giving birth to octuplets Jan. 26 when she already had six other children, ages 2 to 7. Talks show hosts, celebrities and others have weighed in on the topic, with some questioning her ability to look after 14 children. Listen to audio of Suleman’s 911 call. Crime Scene poll du jour: Is Angelina Jolie a winner at the Academy Awards on Sunday night for her portrayal of Christine Collins? Should Angelina Jolie win the Oscar for her role as Christine Colline in “The Changeling”? On February 8, 1929, a 27-day trial before Judge George R. Freeman in Riverside County, California, ended. 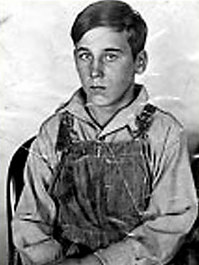 Gordon Northcott was convicted of the murders of an unidentified Mexican boy and brothers Lewis and Nelson Winslow (aged 12 and 10, respectively). The brothers had been reported missing from Pomona on May 16, 1928. However, it was believed Northcott may have had as many as 20 victims. The jury heard that he kidnapped, molested, tortured, killed, and dismembered these and other boys throughout 1928. On February 13, 1929, Judge Freeman sentenced Northcott to be hanged. The sentence was carried out on October 2, 1930. While death sentences are still handed out in California, the average time from conviction to execution is about 16 years. Thus today’s Crime Scene poll, Do you think Northcott would be executed for similar crimes today? Would Gordon Northcott receive the death penalty today? With so much interest in the DVD release of Clint Eastwood’s movie The Changling, perhaps those of you who have seen the film have some thoughts on the fate of Walter Collins. It’s an open question. Was he killed by Gordon Northcott at the Wineville Chicken Ranch as Northcott and his mother claimed? Or did Young Walter somehow escape the farm and go on to lead a productive life, justifying Christine Collins’ hope that her son would return home some day? Just wanted to let you know that the fate of Christine Collins has been solved. Collins is listed in the death index under Christin Collins. This linked her name to a Kathleen Collins in the social security death index. Collins indicated that this was an alias she used after the high profile trial. The time period fits and I’m fairly certain it is her. Collins died on 12/8/1964. There is also an interesting back story. At one point in time, she was staying with James C. Borton in 1930. Borton took in Collins because he and her father were members of the Knights of Pythias. She also spent sometime in Oakland Californa in the early 1930’s, with friends they met when the family was in Hawaii. At one point in time she took a telephone number under an assumed name as well. As it turns out, her sister, at one point in time, was listed on a passenger manifest as visiting Hong Kong in 1930, in the midst of the events involving her son. She is listed under race as Octoroon. Even in my work as an Archivist, I have never come acrossed that term. It’s a guess, but I believe that Aimee Dunne was of Chinese Origin, which I also thought was an interesting note. I’m planning on taking the research further and write a book. I’ve spent too much time learning about this family, so I need to justify it somehow! Standing nearly 7 feet tall when clad in his signature white Stetson cowboy hat and cowboy boots, Jack H. Brown was a feared and respected lawman while serving as San Bernardino County Sheriff Walter Shay’s top investigator in the 1920s. An expert marksman, Brown was known for his ability to fire a bullet at a wooden matchstick from 30 feet away and ignite it. He was also an expert tracker, a skill he acquired from the local Indian tribes while growing up in Kingman, Ariz.
His investigative skills were of such repute that he was recruited in 1928 by Riverside County Sheriff Clem Sweeters to help bring a serial child murderer to justice. gruesome and horrific in Riverside County history in what today is Mira Loma. With director Clint Eastwood’s film “Changeling” appearing in theaters nationwide, Stater Bros. Chairman and CEO Jack Brown Jr. reflected on the role his father played in the case. The movie, which has grossed more than $20 million since opening in late October, tells the true story of the plight of the mother of one of the murdered boys. Coincidentally, the younger Brown sent Eastwood’s production company, Malpaso Productions, a copy of his 16-page book “The Badge,” which chronicles his father’s role in the Northcott case, about three years ago in hopes of sparking interest in a film. “I could see Clint Eastwood playing my dad,” Brown said. But it wasn’t Brown’s story that would be translated to the big screen. One Christine M. Collins, born on April 24th 1900, died in 1996 in Lafeyette, a city located in Contra Costa County, California; this is the only official public record I could find. Since her son was nine years old when he disappeared in 1928, it’s entirely reasonable that she was born in 1901. 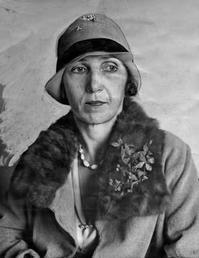 Walter Collins’ mother, Mrs. Christine Collins, who confronted Gordon Northcott in jail concerning her son. “I did not kill Walter,” he told her. “I believe you,” she replied. 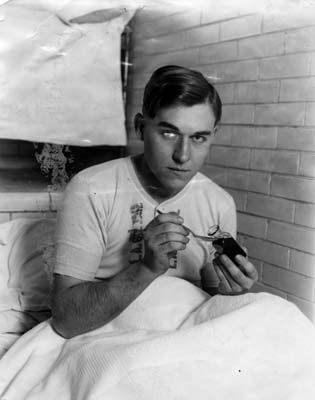 Later, when Arthur Hutchens claimed to be her son and she did not accept him, she was sent to a psychopathic ward. She later filed suit against the police for this action. Clint Eastwood’s “The Changeling,” which was released today has some interesting local connections. The story is a retelling of the Wineville Chicken Murders committed by Gordan Stewart Northcott and his mother Louise Northcott on a chicken farm in 1928. The Northcotts kidnapped boys from throughout the Southland, including Walter Collins, the subject of the movie, which stars Angelina Joile as Clark’s mother Christine Collins. Besides Collins, the Northcotts kidnapped Louis and Nelson Winslow of Pomona and an unidentified “Mexican” boy from La Puente. Most of the kidnappings were done along the main route between Riverside and Los Angeles, which is now kown as Valley Boulevard. At one time, I hoped to write a book on the killings and in the process I collected several old newspaper articles and a copy of the remaining court file from Sacramento.